The response I usually get when I tell people I’m going to hike in Texas is, “There are mountains in Texas?” Yes, and they’re quite the lookers—imagine the deserts of Utah mashed with the Rocky Mountains and you get the idea. 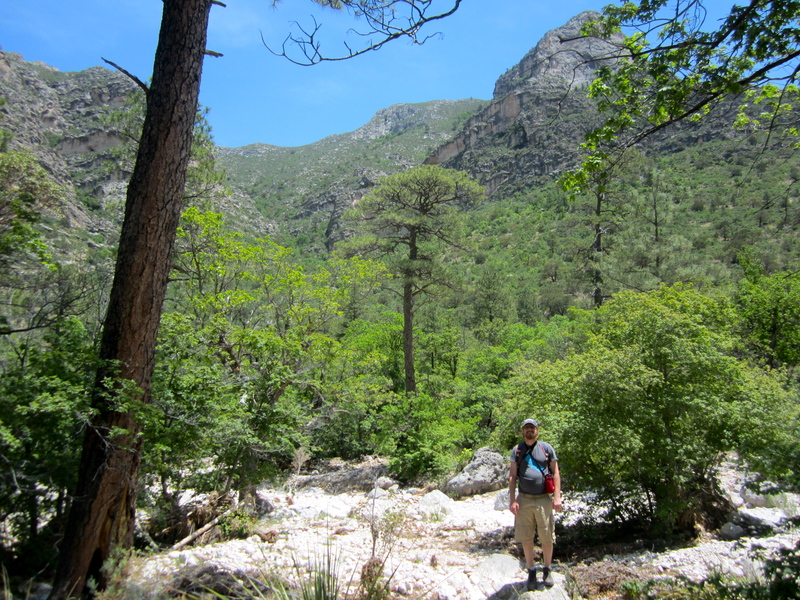 In May I spent a week camping in far western Texas, mostly in Guadalupe Mountains National Park, one of the lesser known national parks and the only one in Texas other than Big Bend NP (which I visited in 2012). Guadalupe is nice and remote—nearest town, 30 miles or so—with lots of hiking and no easy way to just “drive through.” So if you go, you gotta be committed to walking. And walk we did—all the way to the top of Texas, in fact, 3,000 feet of elevation gain to 8,751 feet. The trek was long—nine hours—but beautiful, with lots of Indian paintbrush and pretty mountain views to keep us going. 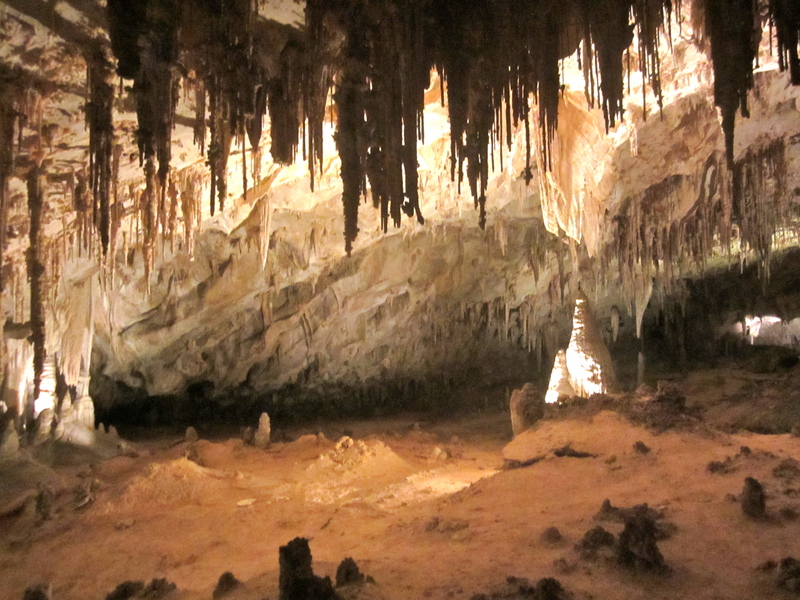 We also went underground to Carlsbad Caverns NP in nearby New Mexico, which has an incredible network of caves, including the biggest cave room in the world. 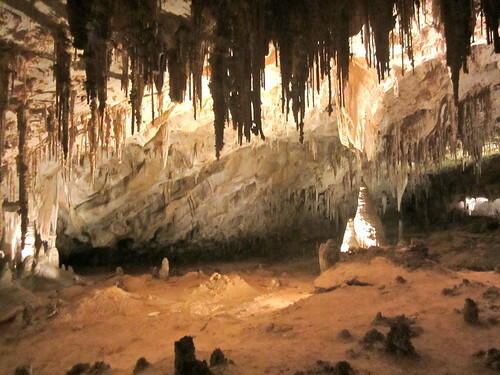 Walking through the Hall of Giants pretty much dwarfed any other cave I’ve ever been in. I admit though, after a few hours down there you’re itching to be back in the desert sun. 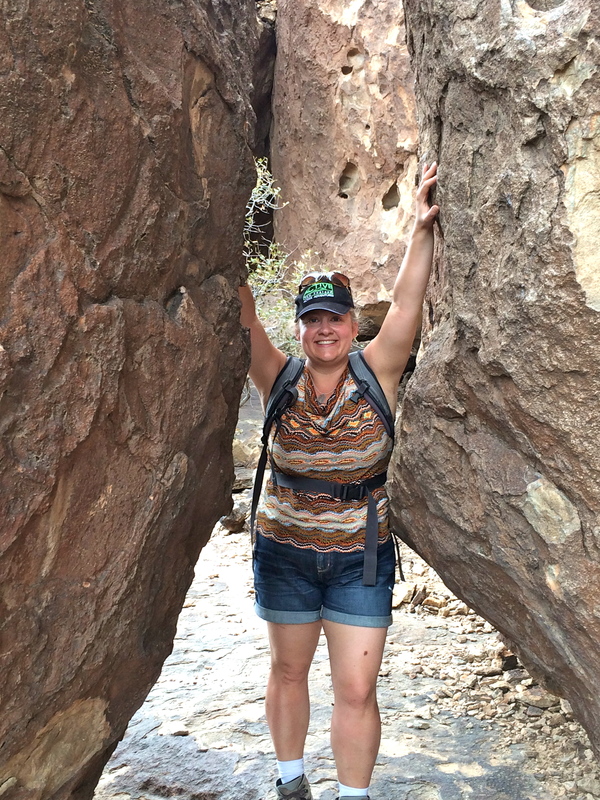 Another highlight was exploring the rock art of Hueco Tanks State Park & Historic Site, where native peoples have left their artistic mark over the millennia. Here I’m in the middle of rock scrambling in search of ancient masks! I’m heading for the other end of the travel spectrum this week when I go to Copenhagen for the Euroscience Open Forum; I’ll write again when I get back.